Pixelo.com has recently released an aptly-named “Colossal Bundle.” This includes 5,985 premium Lightroom presets, originally valued at $750, that are now on sale for $29. That deal alone (96% off!) is enough to have impulse buyers readying their PayPal accounts. But maybe you should hold your horses. There’s a bit of buyers’ remorse when consumers snag a deal. But then, realize later that they didn’t need the product, to begin with. This could lead some to write negatively about whatever they bought. And these kinds of reviews would be unfair to the creator and other potential customers. It would be unfair to you too, as you’d be making an unnecessary purchase. Before you click the tiny ‘x’ on your browser though, know that this isn’t a warning against the product. It’s a good bundle. Instead, this is to assure your satisfaction. There’s a much better feeling that comes with knowing you made a good, informed choice. Buying smart would only take a few minutes of your time. Besides, the sale’s not going anywhere anytime soon. You can get your 96% until about early February. Probably. It’s mid-December, there are 55 days left – please someone else do the math. The deciding factor when it comes to buying this bundle is your creative lifestyle. Are you a hobbyist creative or is it your trade? How often do you use Lightroom when creating? How often do you use presets? Are the words “Lightroom” and “presets” even familiar to you? Don’t worry if you answered “no” to the last question. That won’t disqualify you from purchasing this bundle. It may mean you’re just starting out. So, if you’re a new creative looking to learn some highly marketable skills, read on. 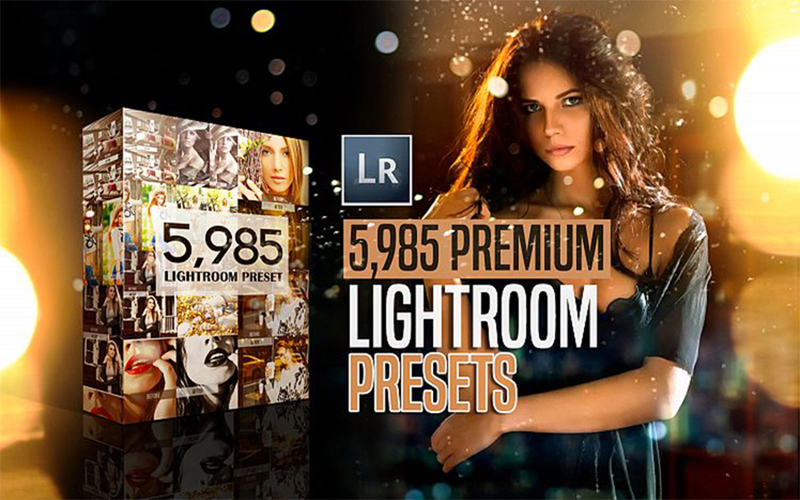 What are Adobe Lightroom and presets? Lightroom is a photographer’s Holy Grail product. And, if you’re new to the whole Adobe suite, it’s probably the best place to start with. Compact and easy to learn. Capable of processing RAW images for better quality and more precise editing. On-image editing which allows for targeted adjustments. Catalogue system that includes your edit history. This also helps prevent you from permanently ruining the original photo. Comparison view that lets you see the original photo against the edited versions. Capable of applying the same edits to multiple photos using sync. And the cherry to top onto these features? Presets. Presets are a way to save and bundle editing settings for easier use later on. 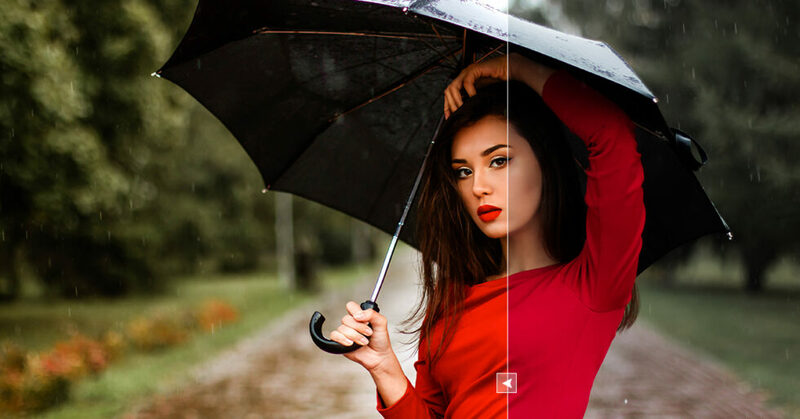 Preset could change everything from image sharpness to colour adjustments. 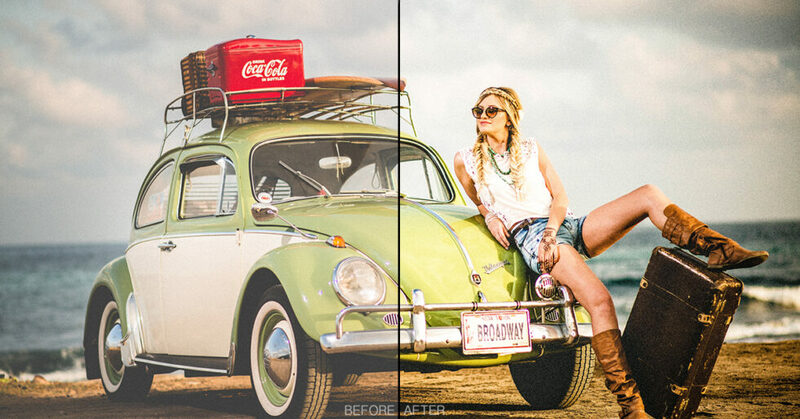 Once you have a preset, you can recreate a particular look with just one click. 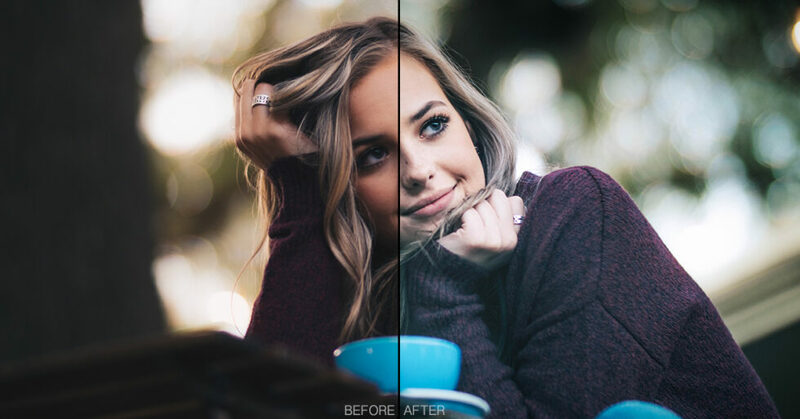 You can create your own presets when you don’t want to forget or lose a style you like. Or you could use available presets created by other designers and photographers. This is the case with the Pixelo Bundle. Despite the ease of use with presets, there is one thing you should consider. A single preset won’t work for every photo. You need to pick presets made for the type of photograph you’re editing. There’s presets available for portraits. There are specific presets that you can use to up your food photography. And when it comes to exterior photos, there’s a whole range to choose from depending on your subject. Compatibility with both the PC and Mac. Sorry, Linux users. You can always double-boot with Windows to take on this offer though. Compatibility with Lightroom versions 5, 6, and CC. Which means you don’t have to upgrade yet if you’re on an older version. Inclusive of installation instructions. Thus, proving the earlier stated fact that Lightroom is easy to use, even for a beginner. Adjustable size. Because you definitely want to apply the changes throughout your high-resolution photo. License for both personal and commercial use. Which means that you can use it for professional work too. Compatibility with both RAW and JPEG images. This helps you avoid switching programs whenever you find yourself with different image types. Original value priced at $750. But they’re selling it for 96% of that value. If you need more convincing, here’s how the product could work for you after your purchase. Presets offer cohesiveness and consistency to images. Having your own personal style is what would set you apart from the competition. Just think of the iconic styles of those popular in the creative world. Japanese photographer Rinko Kawauchi is iconic for the serenity her photos exude. She achieves this by consistently applying a softness in her style. Additionally, her subjects are the most mundane things. With the Colossal Bundle, you can easily achieve a style of your own. You do this by choosing the preset that appeals to you most. And then, tweaking it accordingly. It’s a time saver. Some professional photographers usually need to process hundreds of images. Usually, this is the case for those who shoot weddings and similar events. It’s time-consuming to have to process each photo individually. With the Colossal Bundle, professionals can save on days’ worth of work. Especially with the Wedding category. It’s easy to find a preset they like and easier still to apply this throughout the bulk of your images. Professional edits for the nonprofessional. When you’re just starting own, it would be difficult to understand the basics of editing. You could add too much exposure to the image because you think that’s how the popular filters work. You could sharpen it too much to the point of making it look grainy. Whatever the case, the Colossal Bundle comes to the rescue. When you don’t have time to learn, it can provide you with a quick enhancement to your photos. It’s a good starting point for understanding image editing. When you have time to learn though, you can study the edits in your favourite Colossal Bundle preset. And from there, you could then try to recreate it and add your own spin to it. Variety and versatility when you need them. 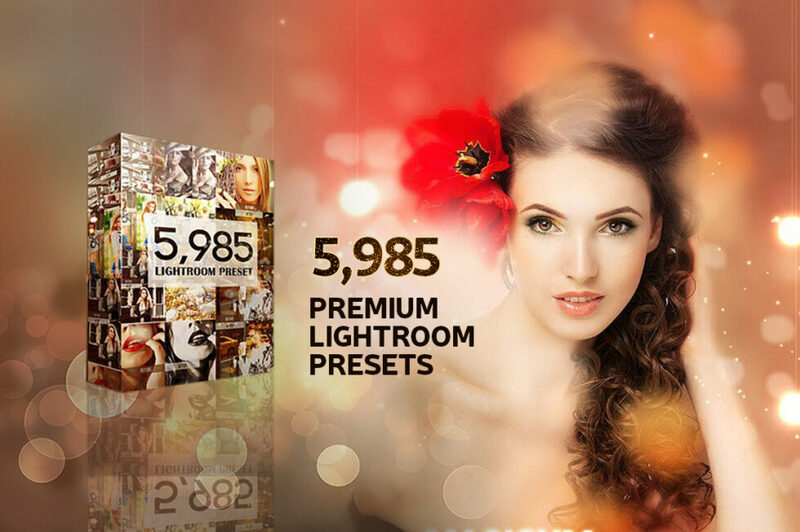 With 5,985 presets available, the Colossal Bundle has just the preset to suit your needs. Additionally, testing all these presets makes it easier to find your style. And the bundle makes it pretty easy to test this multitude out using only a few clicks here and there. So, any creative individual will find a use for the Colossal Bundle. You could be an amateur or a professional. Either way, Pixelo’s Colossal Bundle could be a great asset for you. You can check the product page for yourself to see the bundle in action as it features before and after images. Presets aren’t a limitation, far from it, actually. It gives you a bunch of recorded edits. But you can still play around with the sliders until you get the look that’s right for you. Don’t let the sheer number of presets in the bundle intimidate you either. You can pick and choose which ones you want to install. That way, navigating toward the preset you want is still as easy as Lightroom promised. At $29 for 5,958 presets, you’re paying less than a cent for each preset. You can take note of your Lightroom usage for the next couple of days. This way, you’ll be able to gauge how much use you’ll get out of the product. It’s likely the offer’s still standing when you come back. When you do come back, know that Pixelo has an accommodating customer care service. And they’ll be ready to ease any doubts you may still have. And when those are gone, remember that you can only buy design bundles with PayPal. After all that work, there’s little chance of buyers’ remorse when you purchase this bundle. Every preset is premium and high-quality and worth at least 50 cents a pop.